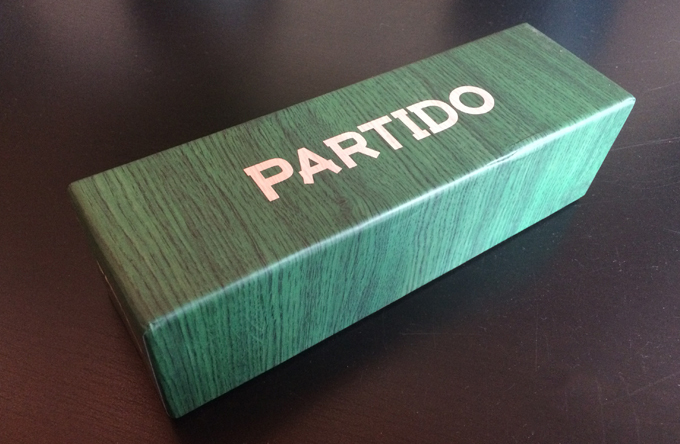 Partido, meaning “match” or “shape” in Spanish, is a must have mini-game. From 2-5 players, it’s great for the whole family, parties, or just chillin’ at the pub with a friend. 80 tiles with 1-4 half-shapes, draw one, make a match and gain points. First to 21 points total wins. Match two or more shapes in your turn gets you that number of points. Example: Match 2 shapes, receive 2 points – 3 shapes receive 3 points, etc. Teach anyone this game in 1 minute! Super fun and super simple, however there is a little strategy available the more familiar you get with the game.